(PhysOrg.com) -- The 2011 Nobel Prize in physics, awarded just a few weeks ago, went to research on the light from Type 1a supernovae, which shows that the universe is expanding at an accelerating rate. The well-known problem resulting from these observations is that this expansion seems to be occurring even faster than all known forms of energy could allow. While there is no shortage of proposed explanations  from dark energy to modified theories of gravity  its less common that someone questions the interpretation of the supernovae data itself. In a new study, thats what Arto Annila, Physics Professor at the University of Helsinki, is doing. The basis of his argument, which is published in a recent issue of the Monthly Notices of the Royal Astronomical Society, lies in the ever-changing way that light travels through an ever-evolving universe. The standard model of big bang cosmology (the Lambda-CMD model) is a mathematical model, but not a physical portrayal of the evolving universe, Annila told PhysOrg.com. Thus the Lambda-CMD model yields the luminosity distance at a given redshift as a function of the model parameters, such as the cosmological constant, but not as a function of the physical process where quanta released from a supernova explosion disperse into the expanding universe. As a result, Annila argues that the supernovae data does not imply that the universe is undergoing an accelerating expansion. As Annila explains, when a ray of light travels from a distant star to an observers telescope, it travels along the path that takes the least amount of time. This well-known physics principle is called Fermats principle or the principle of least time. Importantly, the quickest path is not always the straight path. Deviations from a straight path occur when light propagates through media of varying energy densities, such as when light bends due to refraction as it travels through a glass prism. The principle of least time is a specific form of the more generally stated principle of least action. According to this principle, light, like all forms of energy in motion, always travels on the path that maximizes its dispersal of energy. We see this concept when the light from a light bulb (or star) emanates outward in all available directions. Mathematically, the principle of least action has two different forms. Physicists almost always use the form that involves the so-called Lagrangian integrand, but Annila explains that this form can only determine paths within stationary surroundings. Since the expanding universe is an evolving system, he suggests that the original but less popular form, which was produced by the French mathematician Maupertuis, can more accurately determine the path of light from the distant supernovae. Using Maupertuis form of the principle of least action, Annila has calculated that the brightness of light from Type 1a supernovae after traveling many millions of light-years to Earth agrees well with observations of the known amount of energy in the universe, and doesnt require dark energy or any other additional driving force. 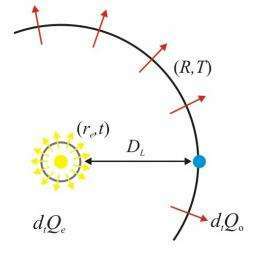 How exactly does the light travel on its least-time path? While the light is traveling, the expanding universe is decreasing in density. When light crosses from a higher energy density region to a lower energy density region, Maupertuis principle of least action says that the light will adapt by decreasing its momentum. Therefore, due to the conservation of quanta, the photons wavelength will increase and its frequency will decrease. Thus, the radiant intensity of light will decrease on its way from the supernova explosion during the high-density distant past to its present-day low-density universal surroundings. Also when light passes by a local energy-dense area, such as a star, the speed of light will change and its direction of propagation will change. All these changes in light ultimately stem from changes in the surrounding energy density. If this is the way that light from supernovae travels, then it tells us something important about why the universe is expanding, Annila explains. When a star explodes and its mass is combusted into radiation, conservation requires that the number of quanta stays the same, whether in the form of matter or radiation. To maintain the overall balance between energy bound in matter and energy free in photons, the supernovae are, on average, moving away from each other with increasing average velocity approaching the speed of light. If dark energy or any other additional form of energy were involved, it would violate the conservation of energy. The analysis applies not just to supernovae, but to other bound forms of energy as well. When the bound forms of energy in stars, pulsars, black holes, and other objects transform into electromagnetic radiation  the lowest form of energy  through combustion, these irrevocable transformations from high energy densities to low energy densities are what cause the universe to expand. While the concept of lights least-time path seems to be capable of explaining the supernovae data in agreement with the rest of our observations of the universe, Annila notes that it would be even more appealing if this one theoretical concept could solve a few problems at the same time. And it may  Annila shows that, when gravitational lensing is analyzed with this concept, it does not require dark matter to explain the results. Einsteins general theory of relativity predicts that massive objects, such as galaxies, cause light to bend due to the way their gravity distorts spacetime, and scientists have observed that this is exactly what happens. The problem is that the deflection seems to be larger than what all of the known (luminous) matter can account for, prompting researchers to investigate the possibility of dark (nonluminous) matter. However, when Annila used Maupertuis principle of least action to analyze how much a galaxy of a certain mass should deflect passing light, he calculated the total deflection to be about five times larger than the value given by general relativity. In other words, the observed deflections require less mass than previously thought, and it can be entirely accounted for by the known matter in galaxies. Annila added that these concepts can be tested to see whether they are the correct way to analyze supernovae and interpret the universe's expansion. Could primordial black holes be dark matter? Death to Dark theory. if it could even have been called a theory. Sorted. Well done Mr. Annila. As in completely cooked? There are areas of dark matter unassociated with galaxies. If you want to argue that those are cold gas, there are also galaxies without dark matter. If Maupertuis version of the principle of least action is applied to these galaxies, Annila is going to need negative mass to explain what is going on there. Negative mass is possible, but I'd like to see more evidence than hand waving. It is past time to get rid of imaginary matter and imaginary energy. I'm convinced. It was just a matter of time before someone stepped up to the plate with a concrete explanation. Why wasn't this thought through from the beginning? The universe doesn't throw things into the mix to make things complicated, and this simplifies things to a great extent. i'd love for dark energy to go away but dark matter is still necessary to explain why all parts of a galaxy seem to rotate around its center at the same velocity (as opposed to, say, the sun-planet system, where mercury goes much faster than mars). if one were to attach a spiral arm to the sun passing through mars and mercury, it would soon be sheared apart. but arms exist in galaxies. It will create an illusion of increasing speed of water surface expansion with distance. It's because the dispersion of light with CMBR fluctuations is essentially a nonlinear effect: the wavelength of light increases during this, but this high frequency light is dispersed even more. The intepretation of this phenomena depends on the observational perspective of observer though. From outer perspective the water surface is simply flat and nothing really expands here. If we adopt slightly more local perspective, then we could consider, the Universe is still expanding, but with fixed speed. If we adhere strictly on the internal (intrinsic) perspective, then we would see the Universe expanding with increasing speed. All these interpretations are of the same relevance. eachus should remember the old adage that "it is better to remain silent and be thought a fool than to open ones mouth and remove all doubt". I would be interested to learn of eachus background, education and experience in this or any allied field. I suspect it will be non existent. My vote goes to Annila. His work may get rid of semi superstitious concepts such as dark matter and dark energy. I look forward to work by others that will be stimulated by this. What we can observe in mainstream physics is the slow shift from pure intrinsic perspective (of general relativity) to pure extrinsic perspective of dense aether theory. For perspective of dense aether model the Universe is simply random stuff and no trend could be actually observed in it at the sufficiently general scale (which is still unobservable for us, unfortunatelly). The cosmologists aren't still brave enough to assume the steady-state Universe model from scratch (after all, such model cannot be observed by its very definition, only assumed by Occam's razor criterion) - but because improving technology enables them to expand the scope of observable Universe, they tend to eliminate the non-linear terms from cosmological models with gradual introduction of insights of extrinsic perspective. Well, the only logical conclusion, since dark matter/energy doesn't exist (how about strong claims require strong evidence?) is there was simply not enough time for the arms to unravel :). Hence the age of the universe is not billions of years. This matter and energy is not imaginary, it leads into complex system of observable phenomena (lensing, braking of stars, etc). It leads to observable curvature of space-time. At the water surface we can see from outside, this curvature is virtual, if the water surface is flat and it's product of dispersion of light at the CMBR fluctuations. BUT - in dense aether model EVERY space-time curvature is a product of the light dispersion. There is no different explanation for space-time curvature at the surface of atoms, around Sun and another massive objects or curvature of space-time at the cosmological scale. It's all result of energy dispersion, just at different scales. We are formed with the same space-time curvatures, which we can observe at the cosmological scales. Everything is relative here. This concept is not new in physics and it has been introduced with J.A.Wheeler, who coined the term geometrodynamics at the end of 1960s. It's deeply relativistic approach, in which everything is composed just from space-time curvatures. There is no absolute reference frame, the seemingly flat space-time is just composed of many other tiny space-time curvatures in the role of particles. We can see, from this perspective the geometrodynamics converges to the dense aether model, because aether theory has no better explanation for particles, then just space-time curvatures. You can imagine the observable reality like the interactions of bubbles at the water surface, which can condense, bounce or interact mutually - although they're all formed just with water. If dark matter or energy is imaginary, then everything is imaginary - only gradients and differences are observable there. In this sense we are living in gradient driven reality. Very interesting to see someone engage the model and not just add more patches. They do seem to be overlooking the role of gravity and mass though. How does all that energy come together in the first place, before it expands back out as radiation? If radiation effectively causes space to expand, wouldn't gravitational contraction be the opposite effect? Einstein thought gravity would cause the universe to contract to a point and that was his reason for adding a cosmological constant. As space appears to be flat on the largest scales, these means these two effects are in balance. Annila describes the expansion of space as an effect of the expansion of radiation, but the only radiation we have to measure is that which has traveled the furtherest and not fallen into gravity wells. So if we were to balance radiation and gravity, it would seem to be a cosmic convection cycle of expanding energy and contracting mass. rawa1 - Sounds a lot like voodoo physics to me. Drug use was quite common in popular culture in the 60's and 70's. Perhaps there is a correlation? Mr. Annila has done a great job here, and obviously Mr. Maupertuis was not recognized in popular physics for his heavy lifting with this theory. (I'd never heard of him before). What I like best is that this theory is testable. Dense aether model is testable easily. The notion of space-time expansion is relative in it and it depends on the wavelength of light, in which we are observing it. For light of wavelength corresponding the wavelength of CMBR all red shift effects simply disappear, including the dark energy. And in radiowaves the Universe will appear collapsing instead, following the blue shift instead. Such prediction it's testable in much easier way, than the Anilla's or whoever elses model. But it will not be tested soon, or many people would lost their jobs prematurely. The physicists are already prepared to adopt such insight, but pretty gradually. The contemporary theoretical physics is rather a business model, than something else in the same way, like the Holy Church. Why the physicists should cut the tree, on which they're sitting, until it brings apples? Just like the faster than light observation recently, I have always thought that a lot of physicists would be embarrassed by following the crowd (dark matter/energy) on this one. I hope this theory - or one similar it - will get everyone back on track. I also hope this debacle will teach us a good lesson for the future of science. I love it. Lisa has done it again! Also when light passes by a local energy-dense area, such as a star, the speed of light will change and its direction of propagation will change. The "speed of light will change" is kind of a big deal. This isn't the first variable speed of light theory out there though. They come in all shapes and sizes. I'll be curious to see how the more math inclined come down on this. Sounds like he throws LCDM out the door and says that we have been missing something. He states that current calculations use "model parameters" v.s. "function of the physical process". Isn't that code for, "my intuitive approach works better" Zephyr? As a casual observer it has seemed to me that the search for dark matter lately began looking more and more like flimsy flailing. Arto Annila's counter interpretation of these data certainly sounds clearer than any explanations I've heard about dark matter or dark energy. We already know that light's speed is affected by the density of the medium it travels through. If current astrophysicists assumed that a photon's medium never changed over millions of years, Annila is saying that assumption was a big mistake. Luckily, Arto Annila's ideas are disprovable. Let the measurements begin! I wonder what insights might be had if we applied Maupertuis Principle of Least Action to gravity? Isn't that code for, "my intuitive approach works better" Zephyr? The professional physicists have no option anyway. If they would spread my ideas in the same way like me - they would be fired immediately from their jobs. And experts have many good reasons not to reveal the intuitive roots of their models before laymans. They're working like medicinmans or alchemists of medieval era, who guarded their intuitive nature of their secrets before publicity. The top scientists aren't as stupid: many of them indeed do understand, their complex models could be understood in much easier way - but they're working like teachers, too. They're motivated to present the physics in the same formal way, like they're publishing it. We should understand the psychosocial factors, which are effectively locking the community of physicists at place. The people from inside cannot change it, because the community of physicists exhibits huge inertia like the black hole. What I'm waiting for by now is the commercialization of cold fusion by Andrea Rossi as a case study. Whereas the cold fusion is still refused with mainstream physics, I hope, such example will demonstrate clearly for everyone of you, the contemporary physics is incompetent to solve certain research tasks, which are going toward existing paradigms of scientific method. It's not problem of individual scientists as such - but the whole system of contemporary science, the theoretical physics in particular (the other branches of science are way more flexible). Quasar in front a low redshift galaxy. Z-pinch produces the same characteristics as a supernovae( apparent redshift). You guys give the Aether crowd such a hard time. Let's face it though, all theories have flaws. If this turns out to blow dark matter/energy out of the water, then this should send mainstream physics into the same sin-bin as other such theories have been put in. I for one like to hear different people's takes on the situation and this possible debunking of DM/E is exactly that. Before some time I speculated in the similar way: The expansion curve of Universe is extrapolated from periodicity of cepheids, right? And because the Universe was still young in the remote areas, the difference between energy density of vacuum and massive objects was relatively lower there (in the "initial singularity" both densities were equal to GUT energy). The frequency of Cepheids depends on this ratio and the lower such ration is, the faster the Cepheids will explode. So you can get the feeling of accelerated universe expansion as the result of variable vacuum density with distance and you will need any dark energy for its explanation. I never made a thorough mathematical analysis, but i presume, both these approaches are basically dual and depending each other mutually. It just illustrates, you can imagine what you want in the contemporary cosmology and you'll always get your truth from your own perspective. Exactly why this "intuitively" stinks. For all your nonsense about the secret cadre of all scientists being out to discredit your intuitiveness, you seem to actually get it on some level. Annila's premise is that light changes as a result of reduced matter/energy density. GR already says this is true, but Annila suggests that we aren't taking the effect fully into account and that the true effect is much greater than we give it credit for. He suggests that galaxy rotation can be explained by his idea. I see the link between DE and lensing, but extension to gravity and galaxy rotation seems unlikely. Again, it will be interesting to see this tested more thoroughly against observations. And Zephyr, Rossi is ignored because of his past, should sound familiar. Don't hold your breath for cold fusion. It illustrates clearly, to invent some theory is one thing, to develop some testable predictions from it is another one. The string theorists could propose many testable predictions from their theory intuitively, but their formal way of thinking prohibits them in such interpretations. As the result, string theorists cannot see the evidence even at places, where it's quite apparent. When the data lead to conclusions that appear inconsistent with familiar laws, it is very tempting to exercise one's imagination and formulate a novel phenomenon to account for the discrepancy. It is far more sensible, however, to re-examine one's data and assumptions. It is to Annila's credit that he was able to recognize the use of the Lagreangian Integrand and 'fall back' to the more general treatment of the process by Maupertuis. The cold fusion is the only finding, which could save us against global financial crisis and subsequent nuclear war by now. The cold fusion of hydrogen at nickel was revealed accidentally at University of Bologna and published in standard scientific way in mainstream press. These experiments are so cheap and simple, virtually everyone could replicate them. So, I completely refuse such an interpretation. The mainstream physics ignored this phenomena for twenty years - a well before Andrea Rossi started to deal with it and the person of Rossi has absolutely nothing with it. The above story is the more sad in context of fact, that the mainstream physicists are willing to spend incredible amount of money and effort, if some phenomena could support their theories (Higgs boson, gravitational waves). It just illustrates, how deeply they're ignorant to the actual needs of human civilization. BTW on the above scheme you can see, the remote galaxies should appear relatively larger because their images are getting dispersed in similar way, like the remote lights observed through fog. Such insight deeply contradicts the Big Bang theory, in which the size of remote objects should shrink or remain the same at least. But as we can see, the real observations are really supporting the AWT model. The remote galaxies appear larger in average, than the closer ones. So, whereas you cannot deduce the violation of L-CDM model from such single evidence, many of such similar indicia together will bring the resulting model clearly in similar way, like the indicia leading to finding of culprit in detective story. It's the deductive, emergent way of thinking, completely different from (actually dual to) inductive deterministic approach, which the mainstream physics practices by now. The mainstream physics cannot accept any theory, until it finds the single evidence, which leads into whole solution in quantitative way. The qualitative evidences don't count here, no matter how many of them we can collect. This is basically strictly deterministic bottom-up approach and it avoids all logical gaps. It's like the delaying the mountain climbing, until you find the shortest path to it. The mainstream physicists can find the correct solution soon or later with their approach anyway, but it takes a much more time. Which doesn't make big problem for physicists, who are payed for publications instead of real findings and who are providing the continuation of their own jobs. They've a lotta time and money to do their research "honestly" and "thoroughly", although they're just wasting the time and money of tax payers often like the alchemists of medieval era, who searched for philosopher stone. In the distance vs redshift graph (the second one), the upper half of the line does not pass through the middle of the data points. At least it seems so to me. I'd accept such silly approach without problem by principle "live and keep on living", but the problem is, this approach delays the acceptance of not only quite theoretical findings like the aether model or steady-state cosmology - but it delays the acceptance of extremely important strategic findings, like the cold fusion. In such case the fun is really over, because the global crisis stands just outside the door and the human civilization is still wasting its precious time - just because some silly physicists cannot believe, the cold fusion is worth of further research. i wonder how this one will play out. its also kind of funny to see everyone jump in behind him right away because they "dislike" the concepts of dark energy and matter. I cant wait for other scientists to look into this and see if it adds up/ or if its just another theory that tries but fails to explain it. "i'd love for dark energy to go away but dark matter is still necessary to explain why all parts of a galaxy seem to rotate around its center at the same velocity (as opposed to, say, the sun-planet system, where mercury goes much faster than mars). if one were to attach a spiral arm to the sun passing through mars and mercury, it would soon be sheared apart. but arms exist in galaxies." Perhaps the arms' effective rotation is a function of 'phase speed' rather than 'group speed' - since the motions of the stars themselves is chaotic, maybe the spiral geometry is in some sense emergent, and thus decoupled from simple conservation of angular momentum..? Mass is the currency of matter. Wavelength is the currency of light. From an Occam's Razor point of view, this approach is a winner. I will eagerly await peer review and and some type of independent confirmation that the calculations are correct. From my own purely unscientific perspective, it simply "feels" right and has a beautiful quality. That's a strange postulate given known empirical observations: for instance this would seem to imply that if light passes from vacuum into a dense prism, it must immediately experience severe wavelength compression (because matter is a highly compacted form of energy, so has extremely high energy density, whereas vacuum is as low-density as it gets.) That would seem to imply that there should be huge differences in color measurements and aberrations between refractive optics vs. reflective optics. Not to mention spectroscopy would be all wrong. None of which is the case. Or am I misinterpreting the concept? From what is published here and on arXiv, I am doubtful of this result. Wikipedia disagrees with Annila's contention that Maupertuis' principle does not require stationarity (unless he means some other non-obvious version of the principle, which should then be explained). In this http://arxiv.org/abs/0910.2629 article of his on arXiv he claims in Theorem 7.2 on page 12 to have a proof of the Riemann hypothesis (which constitutes less than a page). His other arXiv publications regarding the action and its consequences seem to be largely incoherent, stating conclusions without justification or that do not follow from the statements immediately prior. Perhaps this some of these incoherencies are artifacts of mistranslation, nonetheless I did not see sufficient justification to match his audacious claims. Au-Pu, science isn't a democracy. eachus - what evidence for dark matter is there apart from the deficit of gravity needed under the older model using Lagrangian mathematics? remember, dark matter/energy was an introduced concept. conjured to explain the issues that this model, at first, seems to sort out. any other "questions" that developed dark matter theories seemed to pose? within observable phenomena, not curiousities of mathematics that has been, all along the way, reaching in scope...? Hope this theory gets tested. Our current belief is that there are pretty much monsters hiding in the dark closets of our universe. You cannot see it, because Anilla is about dark energy and Bullet Cluster is about dark matter. But what is Anilla saying is actually the seventy years old tired light hypothesis of Fred Zwicky, which has been applied to the dark matter first. Now he applies it to dark energy and many people are happy with it, because he just didn't use the words "tired light", but principle of least action, which applies to material environment. The people apparently cannot see, when I'm explaining the dark matter and energy with dispersion of ripples at the water surface, the principle of least action is actually the mechanism responsible for this dispersion. Because principle of least action just says, the light rays would travel along fastest path across field of density fluctuations, which just leads into their dispersion. But because most of people are actually halfeducated physically, they cannot recognize, when someone is modeling the dark matter or energy with principle of least action, then he is actually using the very same mechanism of dispersion, which applies to every particle environment (where the principle of least action was revealed and applied first). They cannot see the forest for the trees of physical laws and their equations. And whereas they downvote the water surface analogy, they upvote every mathematical formulation of it, just because they cant see their physical connections. Yea, by reading the acticle one might get that impression.. But I think what Annila was actually trying to get on the table here is rather the principle, that EM quanta (photons) released billions of years ago, were subject to the higher density of the Universe at that time (relative to now), and as they travelled the b-Ly to reach us, the Universe expanded meanwhile, ergo the propagation medium "stretched" (progressively decreasing its mean energy density) as the photons travelled through, and due to the conservation of quanta, the photons wavelength increased (got "stretched") aswell. That's what I got from it, at least in layman terms.. It is also more of an intrinsic/extrinsic perspective problematic, and we (as "the observer") are directly INSIDE the lower density zone. Of course, because when we (as "the observer") are OUTSIDE this zone, the same effect is called the dark matter. Infinities in Einstein`s theories are pure artifacts of math, or better said: They are a manifestation of the boundary, at which theoretical mathematics disconnects from physical reality. Nope it isn't, because you don't need the principle of least action for such insight. You're just basically parroting the mainstream model, as expressed with well known expanding balloon analogy. The dark energy has been introduced into Big Bang model just because it violates this analogy. hush1 Nice, but why not to post such comment via PM system? It adds nothing to discussion. ... this would seem to imply that if light passes from vacuum into a dense prism, it must immediately experience severe wavelength compression (because matter is a highly compacted form of energy, so has extremely high energy density, whereas vacuum is as low-density as it gets.) That would seem to imply that there should be huge differences in color measurements and aberrations between refractive optics vs. reflective optics. Not to mention spectroscopy would be all wrong. None of which is the case. Or am I misinterpreting the concept? That pretty much is what happens. The wavelength of light at STP (air, surface pressure) is .005% shorter due to the permittivity of air. Refracting prisms separate light because the index of refraction (the square root of the permittivity times the permeability) is different for different wavelengths and, no ,you can't separate white light with a reflective prism. The density fluctuations of vacuum can disperse the light without changing the wavelength of light. I'm comparing such way of dispersion to Alexander's dark band between primary and secondary rainbow. This band is darker, because light is dispersed there - but no shift in its wavelength can be observed there. It's actually the way, in which metamaterials disperse the light, which is why they're used for simulation of light dispersion with vacuum fluctuations. The important thing here is that we deflect mainstream from the big dark search. This theory by Arto Avilla is plausible and hopefully mainstream physicists will prove it to be or not. But if not, please let's not turn back to the big dark search. It's not accidental, the principle of least action has been applied to explanation of dark energy concept first instead of dark matter which is closer and better observable. At the water surface, the more distant perspective we get, the more dispersion of surface ripples is apparent, the more the particle nature of water surface manifests. In analogy with it the particle character of vacuum manifest clearly only at larger distances, where the spreading of light becomes high dimensional. The principle of least action applies to spreading of energy in particle environments, so it's easier to apply it to the remote areas of universe. So telecommunications between any object in flight and ground are constantly frequency shifted? Actually it's affected even more with ionosphere, which is why you can hear the fading every day morning and evening in your HF radio. This radio signal fading (interference) is a tangible evidence of frequency shift of light. Backup. You guys are conflating a cosmological scale phenomenon with local phenomena. Please don't confuse the discussion. Fading is a reasonably well understood local phenomenon. I don't see it having anything to do with wavelength expansion, or contraction in the context of cosmological red shift. Fading is a reasonably well understood local phenomenon. I don't see it having anything to do with wavelength expansion. It can be modeled with application of principle of least action, too. But I do agree, this connection is rather misleading. The dispersion of light in atmosphere proceeds via mechanism of Rayleigh dispersion, because the density of virtual particles of atmosphere is much higher, than the density of virtual particles in vacuum. The light gets heavily dispersed in geometry, but not in wavelength. The light of short wavelengths is dispersed more, but it still doesn't change its wavelength during this. 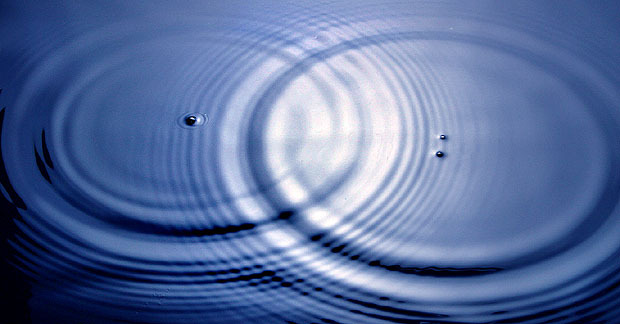 The dispersion of light with CMBR photons is different and it must be modeled with dispersion of ripples at the water surface. During this the geometry of wave spreading doesn't change very much, but their wavelength expands significantly. It really shifts the spectrum of waves, not just filters out the portion of spectrum. This... is an amazing article. How exciting! Why haven't I seen more articles about this? I'm DYING to hear the reply by the physics community. I feel "on the edge of my seat", as it were, to see if such an elegant explanation is, in fact, true. How exciting! Why haven't I seen more articles about this? Because you cannot search the relevant information? This is borderline crank work. It should not have been published, and should not be highlighted here. No, it isn't borderline crank work. The subjective objection of yours was just disproved. Not borderline at all. It is crank work. But crank work sometimes leads to breakthroughs. The key with this is that it is based on a left turn taken almost 300 years ago. Annila has stuff up taking Maupertuis's evolution ideas forward as well. Again, I'd say this hinges on the VSL idea. If GR gets the constancy of c wrong, then this idea could get rid of some of our big "dark" problems. What the crank work is? Whole the mainstream physics of last forty years is pawed with theories, which just failed both with their ability to predict something, bot experimentally at LHC. Geometrodynamics, string theory, supersymmetry, LQG... Here are not crank theories, just failed theories and the theories, which can predict something and they're confirmed. The pile of dead math is still just a math, not a theory. In general, to claim something without arguments is just a religious propaganda, which teaches the people the void rhetorical stance, not scientific thinking based on logics. You're not even morally qualified to call something a crank theory, without arguments the less. What the crank work is?...Here are not crank theories, just failed theories and the theories, which can predict something and they're confirmed. The pile of dead math is still just a math, not a theory. Gee, I usually get to shoot holes in the math. Seriously, I'm a statistician, and often had to tell physicists (and others) that their theory looked pretty, but misuse of normal theory made it junk. Normal theory is all of statistics based on the theory of normality. 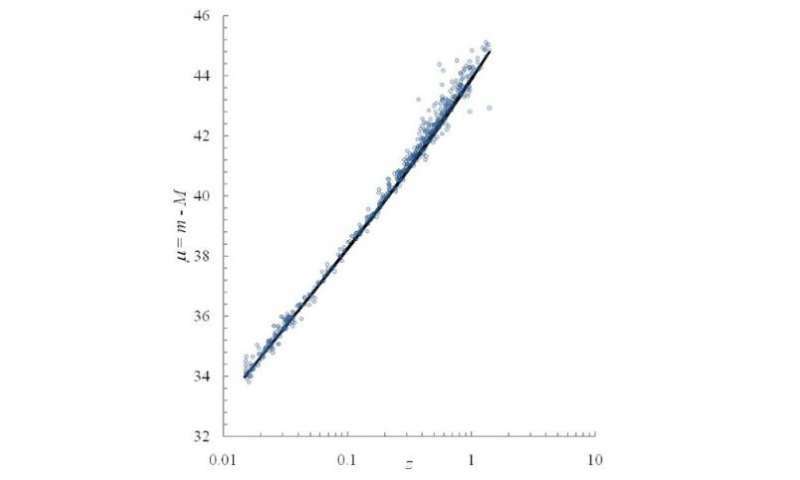 Basically that observation and other errors in the data will conform to the normal distribution. 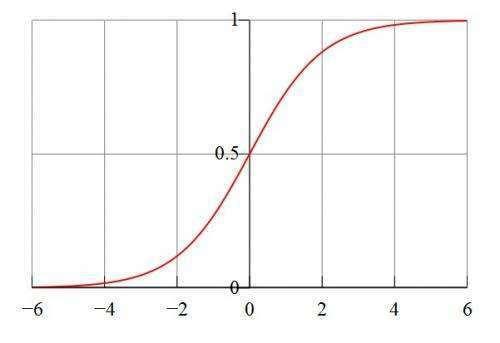 Non-parametric (NP) statistics do not assume normality, and their power is less than normal theory methods if the underlying assumptions are true. Sometimes the flaw can be overcome by switching to NP tests once they recognize that the error distribution is logistic, or Poisson, or whatever. I'm retired now, and I notice that papers coming out of Fermilab or CERN today use NP statistics. What I was getting at is that I have no real opinion about dark energy. But dark matter (DM), in particular weak lensing requires non-parametric statistical methods. * I've worked through enough math in DM papers to be sure that DM exists, and does not interact with the gas surrounding galaxy clusters. * The assumption of independence is part of normal theory, and the one that most people tend to overlook. Any errors in the weak lensing data (either systemic or observational) are interrelated so normal theory is out. Normal theory is all of statistics based on the theory of normality. Is relativity a normal theory? Is relativity is statistical theory? Please, stop with projection of your narrow specialization into general philosophy of scientific method (which actually doesn't exist after all, as in reality the only rule applies: publish as soon, as possible to get all glory). There is no mention of how can be understood in Annila's model. Annila's model is local phenomenological model. It takes one well known fact (the CMBR noise) and it applies it to another well known fact (the expansion of Universe, as observed with red shift). The phenomenological models are specialized, their motivation isn't to explain some general connections, but local connections with higher precission and simplicity, than general models can provide. If you apply the same model (the principle of least action during light spreading through dispersive field of CMBR density fluctuations) to metric expansion space instead of wavelenght of light, you could explain portion of dark matter effects instead of dark energy. The perspective based on wavelength of light is extrinsic perspective, the perspective based on metric curvature of space-time is extrinsic one. These models don't solve, when and how to switch from the intrinsic perspective into extrinsic one. Analogously, you can describe the dispersion of ripples at the water surface from extrinsic bird's-eye perspective of light waves, i.e. from hyperdimensional perspective of much faster waves (which aren't indeed available in vacuum, because no deterministic wave can spread faster, than the speed of light). But you can use the insintric perspective too: in this case you would describe the water surface dispersion from perspective of its own ripples, which is perspective, in which we are observing the red shift and dark matter/energy effects by now. There is no general clue, from which distance one of these perspectives is better, than the another one. They're all equally wrong, being sufficiently correct just under certain limit of conditions. The whole point is, with increasing distance all surface ripples disperse into much faster underwater waves and the intrisic perspective mediated with them changes seamlessly into extrinsic one. Not borderline at all. It is crank work. But crank work sometimes leads to breakthroughs. The contemporary physics suffers with quiet, but the more stubborn battle between theorists and phenomenologists, as expressed with difference between hep-th and hep-ph articles at ArXiv.org. The "theorists" are conservative, formally oriented physicists, who tend to explain boundary phenomena with "hard science", i.e. with increasing complexity of existing theories. The phenomenologists are representing liberal "soft science" wing and they prefer to intepret the experimental results with less general, but optimized combinations of equations. We can observe the analogy between capitalistm and socialism movements here: the local approach isn't good for solution of global problems and vice-versa. There is no general clue, which approach is better than the another one. The only thing, which we can predict is, with expanding scope of knowledge both approaches will converge mutually. Light can manifest as particle or wave when interacted with. Is there any evidence that it is either when not interacting with something other than itself. This is hard for me to understand. So the transformation of matter into energy actually causes space to expand? In dense aether model the space-time expansion is essentially of the same origin, like the dark energy: the dispersion of light at the tiny density fluctuations of vacuum. Because the shorter wavelength waves are losing their energy during this, they're dispersing in the slower way, the more close their wavelength remains to the wavelength of CMBR fluctuations. From this reason the dispersion of light waves is nonlinear and it manifests itself like the seeming acceleration of red shift with distance, i.e. like the dark matter. Because the photons are losing their relativistic mass during dispersion, it could be really interpreted like the "transformation of matter into energy causes space to expand", but this insight can become misleading as well at the long wavelength part of spectrum, where all the above relationships are reversed. Actually, the radiowaves could gain their mass from CMBR fluctuations in similar way, like the large black holes. .....So what happens when all the high energy density material is gone ? Also, ...what is this " integrand " ?... I've never heard of that. Or did they mean integral ? When a star explodes and its mass is combusted into radiation, conservation requires that the number of quanta stays the same, whether in the form of matter or radiation. "To maintain the overall balance between energy bound in matter and energy free in photons, the supernovae are, on average, moving away from each other with increasing average velocity approaching the speed of light. If dark energy or any other additional form of energy were involved, it would violate the conservation of energy." There seems to be a leap here. Why would the number of quanta being consistent make supernovae move away from each other at a rate accelerating towards the speed of light? The link between the energy ratio between matter and photons, and the space between supernovae is not clear to me. ...I don't know what 'shape' can harbor infinite density and temperature. I don't know the radius of a sphere with zero volume. Sounds familiar. There are no infinities or zeros in QM, at least as far as the Plank volume is concerned. The universe appears to be a mixture of GR and QM. GR (specifically the de Sitter solution) rules on cosmic scales, QM on infinitesimal scales. ...I don't think 'dark energy' was a place holder for anything physical. Think of it as the internal energy of spacetime. Think of dark matter as turbulence in spacetime, beginning in the original Plank volume. In this volume uncertainty reigns. Think of the DE blowing smoke rings of spacetime - leading to cosmic rings of high density (dark matter) resulting in gravitational attraction and formation of galaxies. In spite of the uncertainty principle the U is apparently isotropic and homogeneous. That is, the turbulence averages out to some extent. In particular the CMBR is uniform to within about 1 part in 1000, that 1 part apparently due to the uncertainty principle. That would make the initial size of the universe approximately 1000 Plank constants. So, if it wasn't for the uncertainty principle, cosmic expansion would be perfect (as in the de Sitter solution to GR) and there would be no matter. This principle also assures that all universes are unique. Just out of curiousity, ...is there any effect considered on galactic scales, from net radiation pressure , ie the Yarkovsky effect ? I keep hearing about the " paradox " of galactic arms, just wondering if this might have anything to do with it. The pressure of radiation is routinely included in galactic collision simulations and in some cases these simulations lead to artifacts similar to galactic arms. The Pioneer 10 anomaly manifests with weak acceleration, which is equal just to product of Hubble constant and speed of light, thus indicating, it's a manifestation of Universe expansion at the solar system scale. There are no true paradoxes. When all else fails turn to philosophy. "According to Hegarty, the paradox of nihilism is "that the absence of meaning seems to be some sort of meaning". So I suppose this is not a true paradox, since there is no such thing. ...That is true. That lacks logic. Yes that really would be paradoxical. Is the very existence of the self not a true paradox? In other words, why something rather than nothing? I like the curvature idea but I would think spacetime curvature was originally the product of dark energy turbulence in the expansion of spacetime. The Supernova Phenomena is near Heart and Center of Universe. The Blue planetary region is very much down below milkyway. between the Cup and the the lip, there lies many dimensions for comprehension along with processes in steps of Log-scale Universe. This picture illustrates this concept well - it demonstrates the light spreading across the gradient of metamaterial foam. You can see the event horizon, the photon sphere or nonlinear effects of dark matter and maybe dark energy. ...The language you are using falls short of even formulating a question that makes sense. ..."for exact understanding exact language is necessary." So you have a problem with language as well as logic. Unfortunate. ...You can see the event horizon, the photon sphere or nonlinear effects of dark matter and maybe dark energy. Unfortunately my browser shows only the first image. It looks like light falling into something like a black hole only it's red. ...string theorists cannot see the evidence even at places, where it's quite apparent. Also problems with language and logic I guess. ...That is not a problem for anyone else. Wow. That makes me feel really special. Are you suggesting a static universe? Mathematicians can dream up truly great theories, can't they? The hard trick is dreaming up truly great theories that can be confirmed experimentally. Annila has been promoting this stuff for a while now, it seems. But his ideas haven't been tested much. Einstein isn't going to fall without tons of experimental confirmations. Einstein isn't going to fall without tons of experimental confirmations. Kind of funny thing to say. Why did YOU think we needed dark energy and dark matter? Hush, I have a paradox for you. "this statement is a lie.". In a rational universe, statements such as that would be impossible. In a rational universe, statements such as that would be impossible. I think the term for this is NONSENSE. Whether the Universe is rational or not any system of logical notation that works can also be used to write paradoxes. Go ahead. Try and create a system of logical notation that can both prove assumptions false that can't be used to write paradoxes. Might she be a cam prostitute? @kaasinees: 'Jimmy Farrell' is a sockpuppet and the message is trying to get people to participate in whatever 'too good to be true' money making scheme they are promoting. In short: SPAM. Oh gee, i did not know that because i am a redneck. http://www.urband...d=954175 ;] ,I wouldn't know. I don't know you well enough to judge. And besides repeating Kurt's last name what was the point? Was that an agreement or do you think he pulled of the trick? You can't prove anything false if you can't write it. And you can't write it if you can't write a paradox. And I doubt if even Kurt Godel could have pulled that one off. Even after he went funny in the head. I'll pass. Too many fallacies and incorrect illogical assertions to correct here in a thread commentary. Started with "QM states are physical states" and got worst. QM states are physical states? Strange. I can't find anything about that at this site. ...You can not find anything about that on this site because what you stated is false. ...Different QM states produce the same physical properties. ...do you think those two brains will see the same image of your face? No. The same physical properties (QM state) produce two different images. ...Does this explanation help you understand what I meant? Yes it must have all been a misunderstanding. I was wondering: Has any study found any possible correlation between DM and DE by looking at their effects upon the baryonic universe? I find sites explaining both individually, but nothing concerning whether or not they might be tied somehow. So why does space expand just because quanta have to be the same? You claim I made that statement? If so I apologize for being so pompous. Maybe I didn't understand because this is getting more and more confusing. It would help if somebody didn't destroy the evidence by deleting the posts. Editorial descretion or indescretion? I thought that your statement regarding paradox was referencing Gödel's incompleteness theorem. No, he didn't pull it off, he proved it was impossible to have a consistent complete system. This of course is limited to arithmetic, but I am of the mind it can be extended to just about everything. Your statement, regarding the necessary existence of paradox, seemed to suggest likewise. btw, Kurt was pretty funny in the head to start. Not that he didn't get worse over time though. Seeker2, start making sense. It takes quite a bit to make hushie call out nonsense. We know you can think. Try to provide adequate context and form complete thoughts. Quanta tend to expand as well, as Schrodinger's time dependent solution of free particle implies.. This of course is limited to arithmetic, but I am of the mind it can be extended to just about everything. Someone here told me that it has been extended. And I think the original, haven't read it, was limited to ANY logic system that could produce arithmetic. Which should be all systems since a SYSTEM means there has to more than one element and from the NUMBER of elements you should be able to derive arithmetic. Your statement, regarding the necessary existence of paradox, seemed to suggest likewise. It was about the need to be ABLE to WRITE a paradox. Of course the idea that a paradox is proof of a false set of assumptions may be wrong. So far it works. There is no paradox. If you assume nothing, then nothing is written. I can assume without writing. And you did write. That is wrong since you wrote it. Lying about it didn't change that. You didn't prove it. You just claimed you did. No assumption needed. You lied about proof and not writing. Of course was intentional and thus not an error. It was wrong anyway. Sorry but no. So far paradox is still standing as a method of disproof. ...We know you can think. We who? Wow. I wonder what I did to deserve that. ...Try to provide adequate context and form complete thoughts. So they bring on the heavy hitters. Try to help out your favorite poster child. Perhaps this subject matter is a little over your head?. Off topic? Not really interested? Don't really care? I'll try to help out if possible. Thanks. Nothing was assumed so lying is impossible. The one does not preclude the other. The act of writing is proof. It is proof that you wrote. It is not proof that you wrote the truth. The act of writing is without assumption. You wrote nonsense. Not logic. When nothing is assumed, claiming no proof was made when no proof was needed makes no sense. In that case you proved nothing. So what I said remains true. And no assumption was made. Then there was not attempt at logic. Stating that an act of writing is lie makes no sense. What was written was the lie. You proved nothing yet you claimed you did. ...thus not as error and was wrong anyway contradicts. You have assumed a paradox exists. Then you did nothing except string together meaningless literals. Not even words since they had no meaning. You have assume "it works so far"
No I don't. I can observe that it works so far. The claim is an assumption as well as the assumption that a paradox, once written is proof. Its DISPROOF. IF there was any attempt at actually performing a logical analysis rather an attempt to camouflage nonsense. I need no support at this point. You didn't write anything that had any meaning. Will we be grounded? No internet for a week? I will only be grounded if the landlord doesn't pay the Internet bill. And I am off work this week. Run in terror as I don't have the money to actually go anywhere. My response that you did nothing to change what I originally wrote. You can't have a system of logic that can be used to test the validity of any set of statements unless the system allows for paradoxes to be written. You wrote a paradox in something that remotely resembled English but which is not a system of logic. It is a method of communication. Except in your hands where it often becomes an exercise in obfuscation. Paraplegics are easy prey regardless of what motivates them. I don't think you have mentioned that before. I don't see why you would have. However there are lot of marathon races in the US. The Wheel Chair divisions go first because they finish MUCH faster. Now I don't have any personal experience with this particular form of self-flagellation as even when was training five days a week I tended to crap out around the four mile mark. Farthest I have ever run is 9 miles. So go stick to the flats. Or carry some weaponry. In the US you can quite well armed and not get arrested. In some states arms seem to be a fashion statement. Guys, try to weakly, but continuously keep the discussion on topic. Your tendency to diverge from subject of article is striking - it's evident, you have no control over it. The people who cannot concentrate to problem are unable to contribute to it in any way. Please keep in mind, this is not a social club. Zephir, stop having conversations with yourself. Why now, if you stop with discussion about paraplegics in thread about dark energy. I'm indeed reporting it dutifully, but it's annoying activity and it takes my time. You're twaddling here like old senile chaps, who cannot keep their urine, not just flow of their thoughts. Everyone who comments exhibit scripts. So your comments exhibit scripts too and you're off topic in addition. Which violates the PO comments guidelines at their very first point. You're just inventing stuffs to evade these rules. You're still off topic, inventing stuffs and attacking the others to evade the rules of PO discussions. It's just your way of scripting.
. Which violates the PO comments guidelines at their very first point. That counts as first class hypocrisy. Nothing new from you. I have been banned from this website. You have been banned many times. So that is ample evidence that I know what is allowed and you don't. Yes Hush he is a control freak. Willing to lie in pretty much anyway to support his continuing bad behavior. Oops. A typical Ethelred error there. I have been banned from this website. NOT NOT I have this bad habit of leaving out the negation. I have NOT been banned here. ...mainstream physics can handle only deterministic phenomena with its math. So quantum mechanics is not mainstream physics? IMO dark matter forms a gravity well which attracts matter. Dark matter is not particles but dense areas (high curvature) of spacetime formed by BB turbulence. Please note I'm not trying to be top dog dictator here on what is true or not true. I'm only presenting my present opinions and I offer no assurance that they won't change on the next post. Thanks. IMO dark matter forms a gravity well which attracts matter. Dark matter is not particles but dense areas (high curvature) of spacetime formed by BB turbulence. Whoa! Got any links to papers that suggest this? I don't think I have any idea what this would mean. As I spout off regularly, I am partial to modified gravity. I like the general idea Annila is trying to develop, except my hang up on the VSL idea. That being said, I think I can link back into Godel here and incompleteness. Any model we make is going to have limits. Godel was able to find a solution to Einstein's equations where time was meaningless. While this seemingly detracts from GR, I think it simply identified a "limit" of the model where a modification is necessary. ...Whoa! Got any links to papers that suggest this? I haven't looked for or happened on any such papers. Here's your proof. I've been thinking about GR, QM, string theories, and cosmology for who knows how long. My god is plausibility (careful how you spell it), and IMO this is by far a more plausible explanation than little thingies hanging out in spacetime. You may recall me posting stuff about sitting in class and blowing smoke rings up on the blackboard. I didn't think at the time of the analogy of dark energy blowing smoke rings of spacetime in every direction at the BB. ...I don't think I have any idea what this would mean. Scary to think about, I suppose. For example since the DE is still around (and we are still here) it could be happening even right now. However the most significant meaning is in the interpretation of matter. Einstein already figured out gravity. Matter and anti-matter would also be forms of (very high) curvature in spacetime. I've already expounded on matter, gravity, anti-matter, anti-gravity, pair creation, and some speculation about the strong force. Nobody tried to litigate these ideas so I suppose they're not very original. Maybe they just figured if they ignored me I'd go away. Lot's of complicated stuff (explanations, theories, et al) on this thread. IMHO, I think it's going to be an order of magnitude SIMPLER than we all think. We know you aren't my favorite poster child. I think he pretty much nailed you on that one, so wear it.